The Hate Crimes Working Group (members listed below) and Peace Action, are concerned about the growing climate of violence in South Africa. The frequent and vicious outbreaks of xenophobic violence, violence against women and violence against the LGBTQI community, to name a few, are threatening the security of all who live in South Africa. The increasing levels of intolerance and anger, expressed violently, have a devastating impact on those who are most vulnerable and marginalised in society – such as women, children, LGBTQI, foreigners and the destitute. The recent and repeated xenophobic attacks (during the past decade) against refugees and other non-South Africans are adding to a culture of intolerance and resulting in violence, pain and suffering for victims of this violence. The government has failed to adequately respond to these incidents and do the work necessary to prevent continued incidences of xenophobic violence, and to create a safe environment for non-South Africans living in South Africa. 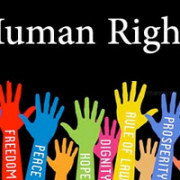 Human Rights Day in South Africa, annually celebrated on 21 March, is a day for South Africans to remember the importance of equality and dignity as cornerstone human rights. As we remember the violence and suffering endured during the Sharpeville Massacre, all South Africans should pledge to contribute to a society that respects all people and protects the rights, dignity and security of all. A “hate crime” is usually a violent, prejudice-motivated crime that occurs when a perpetrator targets a victim because of his or her perceived membership in a certain social group. Examples of such groups include but are not limited to: ethnicity, gender, language, nationality, physical appearance, religion or sexual orientation. We recognize that hate crime violence is not simply physical and that psychological exclusion, harassment, verbal abuse and humiliation are equally destructive. The Bill of Rights is the cornerstone of democracy in South Africa. 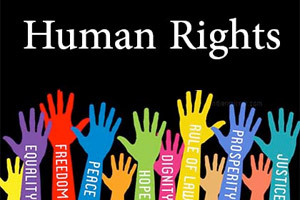 It enshrines the rights of all people in our country and affirms the democratic values of human dignity, equality, security and freedom, as well as highlighting that no person may discriminate against another based on the aforementioned criteria. The Hate Crimes Working Group notes that hate crimes therefore directly violate SA’s Constitution and the fundamental rights that belong to all who live in South Africa. It is not simply the responsibility of Government, but also that of every citizen to ensure the constitution is respected. All violations of constitutional rights and human rights should be punished, and efforts must be taken by Government to prevent violations in the first place. On Human Rights Day in South Africa, we call on the government to take concrete action to address and combat xenophobia and other hate crimes (such as crimes against LGBQTI people) in South Africa. We also call on all who live in South Africa to pledge themselves to respect the dignity, equality, security and freedom of all people, and to take a stand against hate crimes perpetrated in our country, today and every day. For more information please contact Bishop Paul Verryn on 082 600 8892 or email paulverryn@gmail.com or Janine Shamos on 082 338 9666 or email on Janine.shamos@gmail.com .